The Institute of Higher Education was established in 1964 to study the rapidly changing environment of higher education. From the beginning, the Institute’s research efforts have been informed by work in core fields such as policy studies, management, organization, governance, and finance. As a result, research at IHE often brings novel perspectives to familiar educational concerns. While each Institute faculty member has distinctive disciplinary and methodological expertise, we work hard to look beyond boundaries and maintain open minds to examine new ideas and make new connections. IHE faculty hold graduate degrees in a wide range of disciplines including sociology, economics, psychology, management, educational policy, and international education, as well as higher education. This contributes to extraordinary levels of multidisciplinary and interdisciplinary cooperation and collaboration. It also builds greater understanding of colleges and universities overall. 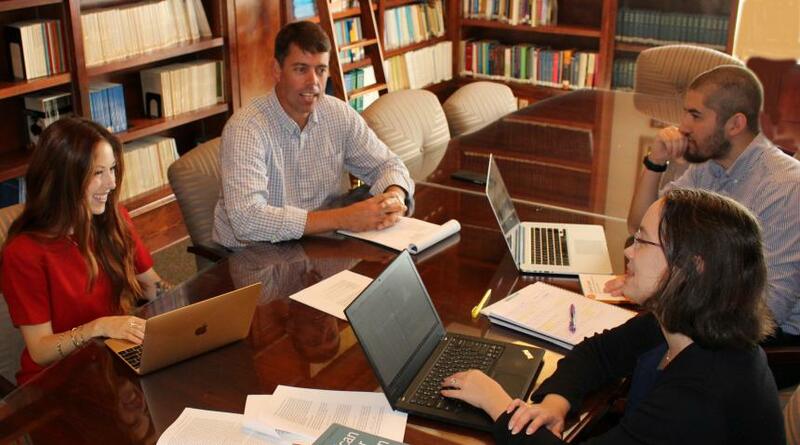 A core group of IHE faculty research and regularly publish findings on issues such as state policy formation, uses of information in policy development and evaluation, merit scholarships, and federal student-aid policy. The Institute has long focused on factors contributing to institutional quality and improvement. Recently, faculty have worked on issues such as building more effective information systems, institutional quality assessment, community engagement, reform in incentive and salary systems on campus, changing business models in higher education, decentralized budgeting, and the development of new academic programs and centers. For decades, IHE faculty have been successful in securing funding to conduct their research. These projects regularly provide assistantships, which support graduate students and help develop their analytic skills and expand their professional networks. IHE establishes collaborative programs, faculty and student exchanges, and development initiatives with universities and systems in a variety of countries worldwide. Recent efforts have involved China, Norway, Croatia, Germany, Tunisia, and Uganda. Each year, visiting faculty add to the international engagements of the Institute.